The metatarsal stress fracture is a tiny break or cracks in the bone which occurs due to repetitive overburden in the lower part of the feet. 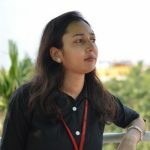 Overuse of legs and feet for walking, jumping and running overwhelm its natural capacity of bones for self-repair causing small cracks to develop. However, with proper treatment of metatarsal stress fracture, it can be relived. Mostly the stress fracture happens in the lower leg and bones of the feet which bears the total burden of the body. Moreover, it may also occur in the heel, outer bone of the lower leg and in navicular i.e. the bone existing on top of the feet. In general, our bones has its natural repairing or healing power so whenever a light crack or injury happens it is healed by the calcium secretion to the wounded place. However, when muscles get overly tired due to repetitive impact or burden, this extra pressure is transferred to the bones which are beyond the self-healing power of bones, resulting stress fracture develops. Our body has its limited capacity and when any particular part of the body is loaded with burden and force beyond its capacity it is quite likely to develop some negative impacts. Stress fractures mostly occur in athletes and military people who carry heavy burdens and walk or run to a very long distance. Apart from these people, this can happen to anyone who puts repetitive force or overuse their legs and foot in different activities such as during exercise, jogging, walking, jumping, etc. In the very initial stage of the metatarsal stress fracture, there might not be any noticeable symptoms. However, with the passes of time when the condition gets worse, you will notice the following signs or symptoms due to this small fracture in legs. Tenderness develops due to touch on the affected location of the stress fracture. Swelling may happen on the painful location. Pain develops in the deep within of the foot, ankle, and toes. Light pain and weakness appear in the affected area. Swelling occurs on top of the foot, around the ankle and in the shin. You may feel sharp and dull pain with each step movement. Pain that starts with certain actions and reduces after the activity. Pain that ease-off with rest. Athletes and people who indulge in the intense form of activities such as gymnastics, long-distance runners, and tennis and basketball players are the primary victims of Metatarsal Stress Fracture. Apart from this anyone who is doing repetitive steps for anything which is putting constant force on the lower part of the foot can cause this tiny fracture. Some common causes or reasons of MSF are mentioned below. A sudden increase in the practice of some activities to the intense mode instead of gradual steps. Changes of surface area which is used for the practice. Like using a harder surface from the soft surface. Unbearable strains or pain in muscles which it transfers to the bone. Inappropriate muscles or bone alignment from the backside to the feet which crosses the bone’s ability to absorb the sudden force or shock applied over it. The stress fracture may develop due to the error in some training techniques. Low level of Vitamin D in the body. Due to some bone diseases such as Osteoporosis which reduces the bone density and strength which gets weak and unable to bear extra stress or force, resulting in fracture happens. Uncomfortable footwear which is tight, stiff, flimsy and worn out. Certain foot related problems that can impact the foot strikes such as blisters, bunions, tendonitis, etc. Heavy body weight and tall figure people are quite likely to develop this type of leg fracture due to overweight of the body. Rest is considered as the first aid for relieving stress fracture pain in the very initial stage. However, it provides temporary relief and again pain generates in the full pace when you repeat those activities which put extra force on the muscles and bone area. As per your stress severity and fracture location doctors generally applies the following treatment methods to cure this type of fracture. Rest is the first most desirable and effective solution for treating the metatarsal stress fracture. You will be supposed to avoid those activities which are causing force and pain in the muscles and bone. Limit your activities such as walking, running or anything that needs constant body movements. Also, avoid carrying any load on the body as this can directly impact the fracture area which can worsen your condition. If there is an utmost requirement then make sure load volume is very low or light which hardly puts any impact on the lower part of the body. Rest is very important in this case otherwise fracture size can easily increase if bones get stressed with continuous force or effort. Anti-inflammatory medications such as ibuprofen and aspirin can help to reduce the pain caused by the stress fracture. However, chances exist that these medications may interfere with the healing process of the metatarsal stress fracture. So it is important to consult with a doctor before taking these anti-inflammatory medications. Doctors will recommend you to wear an especial walking boot which will be quite comfortable and can help to reduce the burden or force of the fractured bones by giving support to it. Walking boot or braces with crutches are needed to wear which will provide rest to the injured area, depending upon the severity of the fracture. Usage of cold compressors or ice packs is recommended by the doctors for instant relief from pain and swelling on the fracture or injured area. The metatarsal stress fracture usually takes 4 to 12 weeks to heal completely. It’s all depends on your precaution adherence and take care methods that can speed up your recovery period. You need to avoid weight-bearing activities and should take as much rest as it is possible. You can consult with your physician in this regard that which kind of activities are beneficial for your recovery journey. Activities such as biking and swimming are some non-weight bearing activities that you can do in this period. For preventing re-injure and reliving the stress doctors suggests wearing the Aircast Air-Stirrup, ankle brace, and Aircast Leg Brace. In certain cases of stress fracture where bones take a long time to get healed fully, so a special medical boot is required to wear for comfort such as Aircast Air select Short. However, in the more severe cases of the stress fracture, even surgery may be required. In these cases, a fastener is placed in bones for holding them together until the healing period. Still, in very rare cases surgery is needed and mostly the stress fracture relived with proper rest and with time. The metatarsal stress fracture is the general outcome of over stress placed on muscles and bone which is beyond the natural rebuilding power and mechanism of the body. It usually happens with the weaker bones. However, with some smart preventive measures, the stress fracture health concern can be prevented. So in order to avoid such risk, it is very important that athletes and other sports people maintain proper caution during the switching time, from off-season to peak season so that the bones would not get over-stressed and there will be no chance of developing a metatarsal stress fracture. Be very careful while changing the surface during any activity as this is the time when chances of getting stress fracture remain too high. As you are changing from an old surface to a new one so in between the switching time make sure that your brain, muscles, and bones are fully ready to adapt with the new or changed surface. Once you are fully ready for the changes then and only take your first step. Like when you switch from a treadmill to a plain workout surface you need to be very cautious otherwise chances of falls and fracture thereof exits to a great extent. Never make a mistake of trying a very high impact activity suddenly which is out of your daily routine, because your bones will not be able to tolerate the sudden force generated through the high impact activity and can easily be a victim of the stress fracture. People who participate in marathons and athletes already train their body and bones for those activities with the longtime practice which build their endurance. This is the reason they perform extraordinary and high impact activities within few seconds without putting much effort and with endurance. So for avoiding the risk of metatarsal stress fracture build the endurance first and then and only perform a high impact activity as because when your bones will get enough time to adapt with new activity there will be no chances of the stress fracture. Obese people who have over body weight remains at a risk to get a victim of stress fracture because of their heavy weight. This happens because their legs often find it difficult to maintain proper body balance especially during any activities which put extra pressure or force on the lower feet resulting in bone fracture or damage happens. However by reducing weight this concern or fracture risk can be prevented fully as when the weight will be reduced the stress on bones will also be reduced especially while performing any activity such as exercise, running, walking, etc. Follow healthy steps for reducing your weight and be consistent on them and prevent the fear of metatarsal stress fracture. While selecting footwear often people choose stylish footwear over the comfort level which is the biggest mistake as it increases the risk of stress fracture when the bones don’t get proper support, especially while performing any activity such as jogging, walking, running, etc. However, this risk can be avoided by wearing comfortable supporting footwear which reduces the stress from the leg and foot bones. This is very crucial in the cases of sports people who need to perform rigorous activities where chances of stress fracture exist very high if supportive footwear is not there. As per the different activities and foot type, shapes and size of the footwear differ from one activity to another and one person to another. Like for flat feet types strong arch supporting footwear are needed, for activities which involve sudden movement changes such as basketball special footwear requires which can absorb sudden force whereas for long distance runners footwear shape should be different than that. 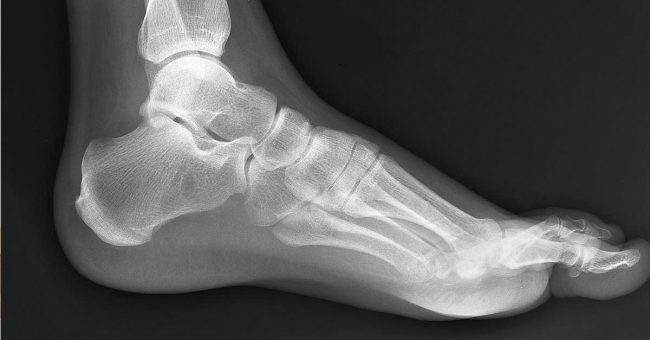 Having weak bones are one of the primary reasons for developing a metatarsal stress fracture as because of low bone density and weaker muscles it becomes unable to sustain constant force and pressure. So for avoiding this health concern, it is very important that you consume balanced diets, full of nutrients every day. Foods are a good and healthy source of Vitamin D and Calcium which are the essential nutrients for maintaining and improving the bones strength and density. Take the recommended doses of balanced nutrients every day as recommended by the nutrition specialists and avoid the unusual stress fracture risk. The human body is not a machine which can work continuously without getting tired or exhausted. Your body needs proper rest and off from regular activities. This will help to strengthen your bones and increases the bones density when it gets enough time to heal out of daily routine work. So it is very necessary that you give yourself a break and vacation from time to time. This will increase the level of your performance and will also prevent the risk of stress fracture which often develops in the lack of proper rest of bones out of rigorous activities which puts extreme pressure on it causing a fracture. 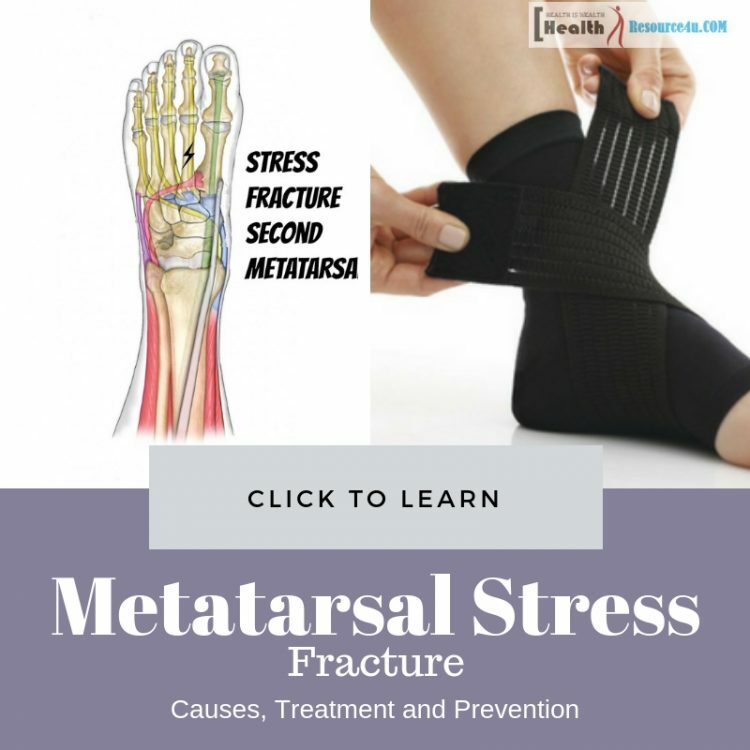 Though the treatment of metatarsal stress fracture can relive this health concern still it is always preferable to maintain preventive measures to avoid this health hazard to occur with anyone.